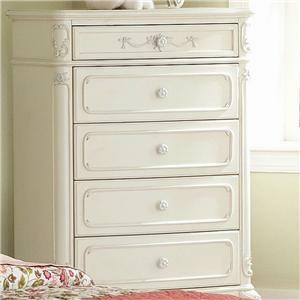 A blend of antiqued drawer pulls, a lavish cherry wood finish, and nail head trim makes this chest of drawers the perfect addition to your palatial bedroom getaway. 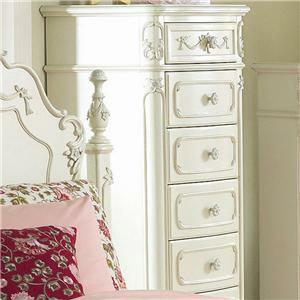 Five large drawers easily accommodate clothing and accessories to keep your bedroom tidy and neat. A shelf top features a beautiful marble, the perfect feature to finish this traditional masterpiece. 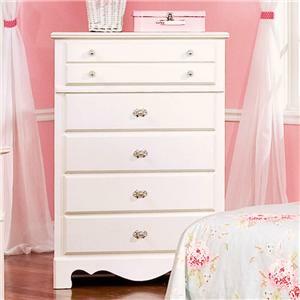 The Anondale Chest of Drawers W/Marble Top by Acme Furniture at Carolina Direct in the Greenville, Spartanburg, Anderson, Upstate, Simpsonville, Clemson, SC area. Product availability may vary. Contact us for the most current availability on this product. 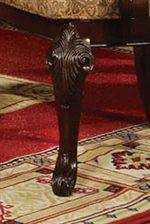 The Anondale traditional occasional table and living, dining, and bedroom collections celebrate traditional styling and classic elegance. 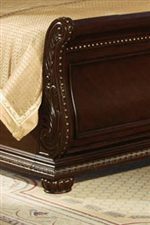 A luxurious cherry wood finish seen throughout the exquisitely crafted pieces is warm and inviting and complements the use of rich bonded leather for a lasting palatial feel. 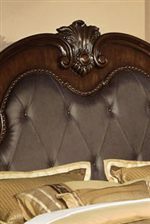 Acanthus leaf motifs, delicately carved bun feet, button-tufted seating, and antiqued hardware all give that touch of majestic and noble splendor. Marble tops, glass-inlays, and plenty of storage space give the designs a breath of updated and functional charm. Bring a piece of the classic past into your home today with the stunning and majestic designs of the Anondale collections. 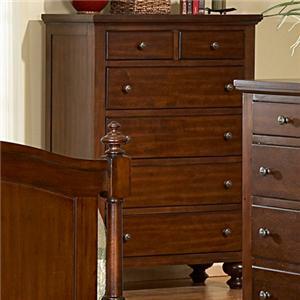 The Anondale collection is a great option if you are looking for Traditional furniture in the Greenville, Spartanburg, Anderson, Upstate, Simpsonville, Clemson, SC area. Browse other items in the Anondale collection from Carolina Direct in the Greenville, Spartanburg, Anderson, Upstate, Simpsonville, Clemson, SC area.